Established in 1992, DWL Industries Co. known as WINCO, is a manufacturer and worldwide importer of kitchenware and tableware. 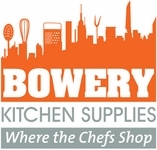 From cookware to flatware, they are dedicated to provide professional chefs and restaurateurs with quality products and superb services. Enjoy Free U.S Continental Ground Shipping, on orders of $120 & up, from our CUTLERY & SMALLWARE sections.